In the range of kitchen products and cutlery available at @Home furnishings, the printed porcelain side plate is a favourite among customers. 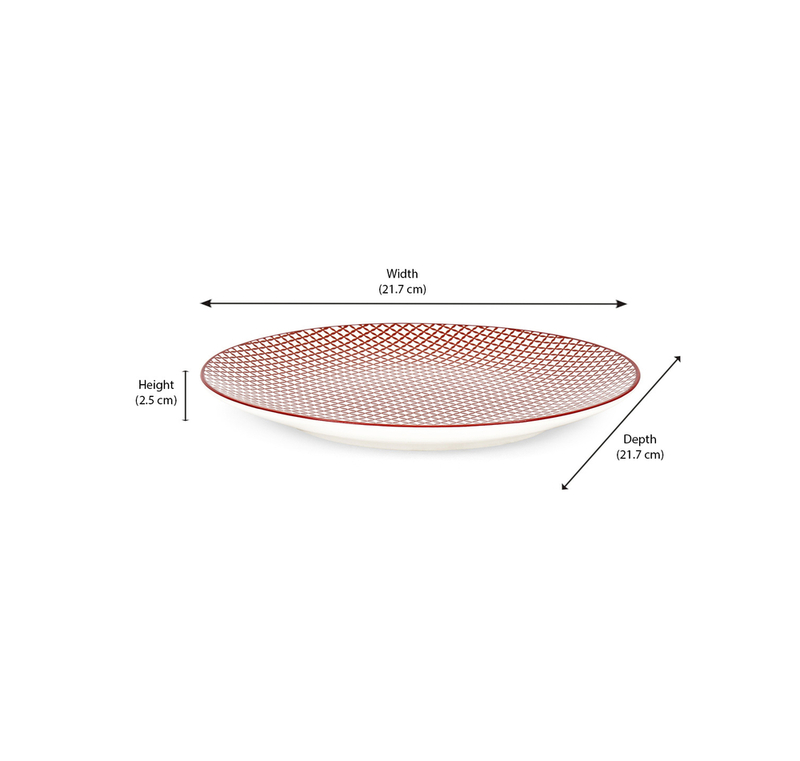 The plate has a circular shape and a diameter of length 21.7 cm and the plate has a thickness of 2.5 cm. The plate has a simple design. With maroon coloured lines running across the plate, a chequered design is created on the body. The plate is made of porcelain which is easy to clean and maintain. Nevertheless, careful handling is needed to make sure that the plates do not break.The plates are smaller than the usual size as they are meant to serve as side plates. You can use them on a daily basis to have a light breakfast or in the evenings during snack time. When you are entertaining guests, you can use them in their true capacity. The maroon coloured porcelain adds a liveliness to your kitchen, and to your household. Adding these plates to your cutlery collection will reflect your quirky personality even in the utensils you use in the kitchen.